I’ve posted it before, but it was Jane Austen’s birthday yesterday, and the clip is very funny. This entry was posted in TGIF on December 17, 2010 by Michael Happy. 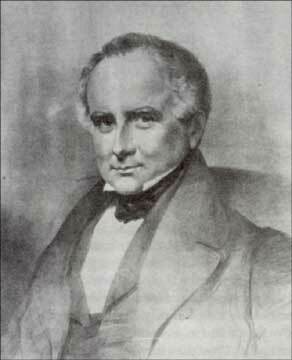 Today is Thomas C. Haliburton‘s birthday (1796-1865). Haliburton would never have called himself a Canadian. He was a Nova Scotian, a Bluenose, and died two years before Confederation. He was born and brought up in Windsor, and represented Annapolis in the legislature. There he did good work in fighting the Family Compact, and became the friend of an every more brilliant man than himself, Joseph Howe. It was in Howe’s paper that he began the series of sketches later know as The Clockmaker: the sayings and doings of Sam Slick of Slickville, Onion County, Connecticut. The Sam Slick books extend from 1835 to 1860, there are eight of them, and they take in nearly everything Haliburton wrote that we still read, except for some sketches of Nova Scotia called The Old Judge. This entry was posted in Birthdays, Canada on December 17, 2010 by Michael Happy.